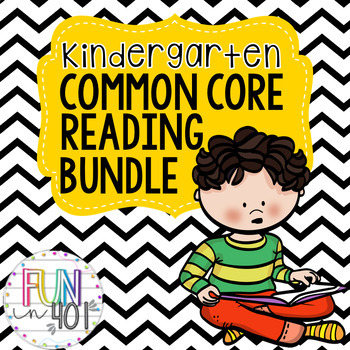 Kindergarten Common Core Reading Bundle! Kindergarten Reading Worksheets: RL.K.1 & RL.K.2 ! In this download you will get both of my kindergarten reading products! They are both aligned to common core with standards written on the page! Please check out the previews. These can be used for any story you read throughout the year!